The Aurora-Sim distribution of OpenSim now supports mega regions of unlimited size, according to an announcement made this weekend. 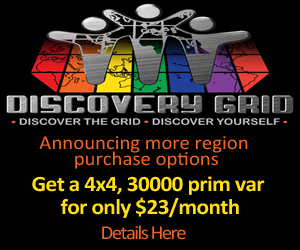 That doesn’t mean that the regions offer endless land to build on — buildable land is limited to the size of the underlying region, either a standard region or a variable-sized region, according to Enrico Ranucci, head of New Voice, d.i., and the Nova ultra-low-cost OpenSim hosting company and Nova Grid. 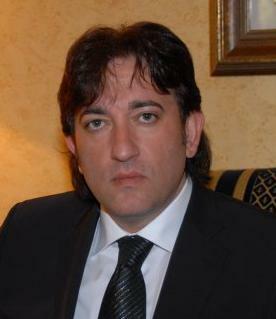 Ranucci is also one of the contributors to the Aurora-Sim project. Prim limits, scripts, concurrent avatars are all the same as the underlying region. However, visitors to the region can continue to fly or sail out over the open water forever, or until they reach another region. “You can use vehicles like planes and boats to navigate or fly out of borders,” said Ranucci. This means that users can fly between two infinite regions, no matter how much empty space there is between them, without falling off the grid. If the entire grid is running on the Aurora-Sim software, then infinite regions can co-exist with standard, finite regions — however, visitors who start out on the standard region won’t be able to fly beyond its borders even if there’s an infinite region over the horizon. Infinite regions can not be intermixed with standard OpenSim megaregions, and Ranucci warned people against trying to load the Aurora-Sim infinite regions into a grid running the standard distribution of OpenSim, such as OSGrid. Nova Grid, a 100-region social grid running on the Aurora-Sim software, has several infinite regions up for people to try out, said Ranucci. On the grid map, infinite regions appear as the standard regions that they are based on. One disadvantage to infinite regions is that, if they’re based on variable regions, they can only accessed via a supported viewer. Today, that means only Imprudence Beta 1.4, Astra and a modified version of Singularity, Ranucci said. Infinite regions based on standard-sized regions can be accessed via any OpenSim or Second Life viewer, he added. “The Aurora team is working closely with more viewer developers to bring these patches forward and is now even developing a new viewer with the additional Aurora features & functions while maintaining compatibility with OpenSim and Second Life,” he said. Because the infinite regions based on variable sized underlying regions require special viewers, they would be a good fit for closed grids that require their users to load custom viewers. 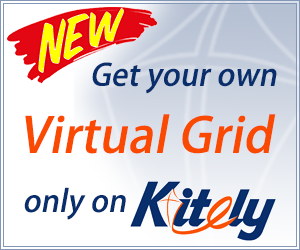 Owners of public grids and hypergrid-enabled grids who want to use these types of infinite regions would be well advised to put a sign in the grid’s welcome area telling visitors that the grid is best viewed with a recommended viewer.